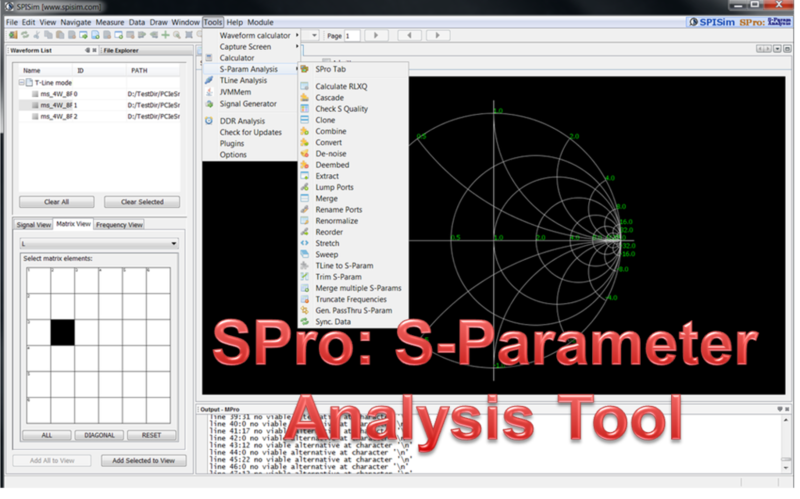 For S-Parameter analysis such as checking, cascading, lumping, extraction, renormalization etc. 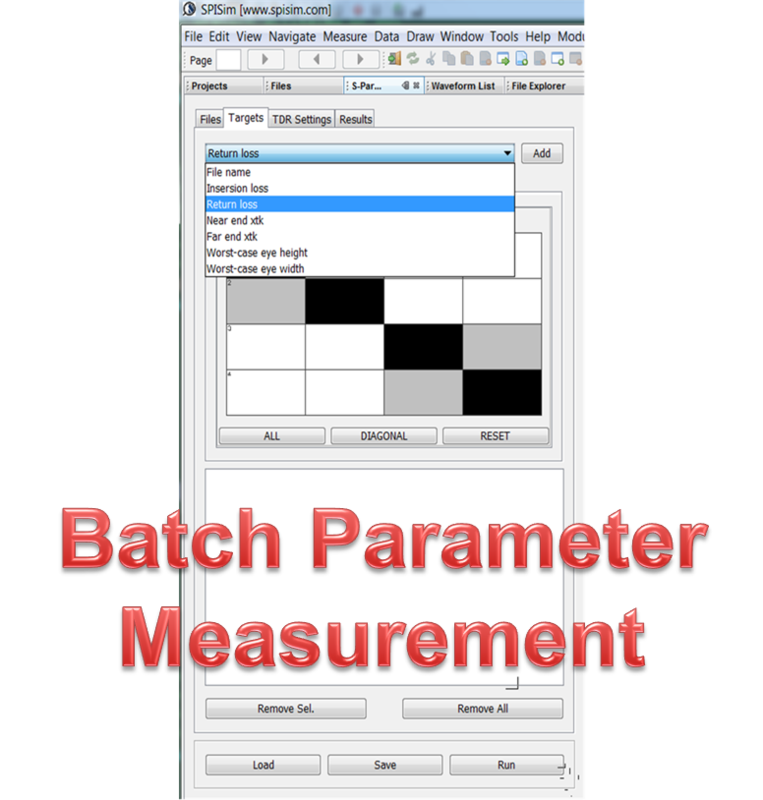 Batch S-param file processing, analysis and reporting with RSA encrypted scripts. Figure of merit reporting for channel performance. Optimize FFE tap weights, CTLE Gdc and DFE tap weights. Can work with MPro/BPro’s AMI modeling as a complete flow. 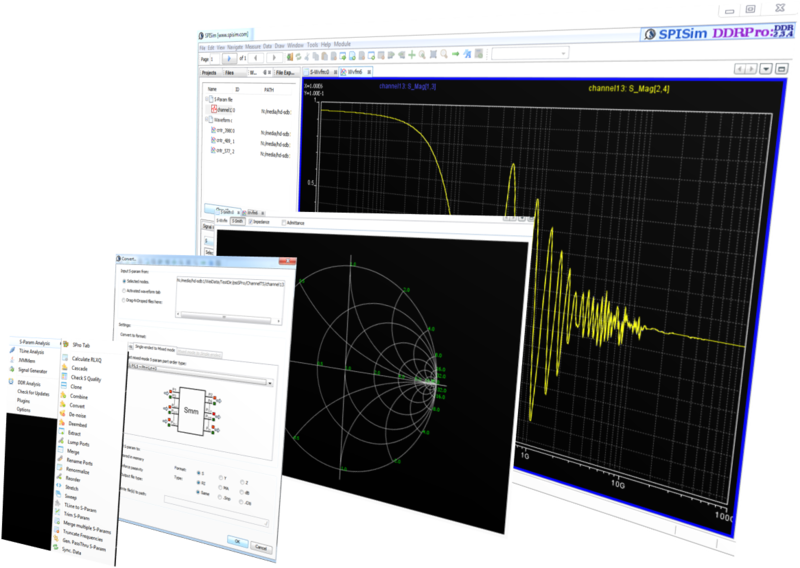 Waveform plot or Smith chart, View data in matrix format or contour plots. 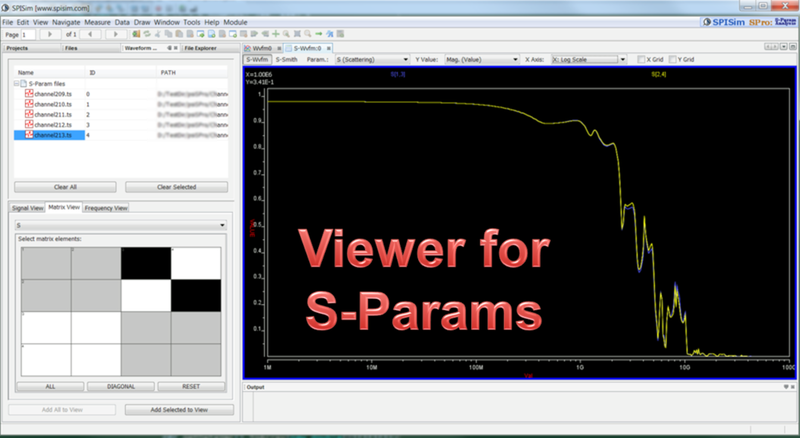 eye parameters for specified frequencies. Results are indexed html, csv format and various plots. IL, RL, NEXT, FEXT, TDR, TDT, Intra-Pair/Inter-Pair Skew and more! 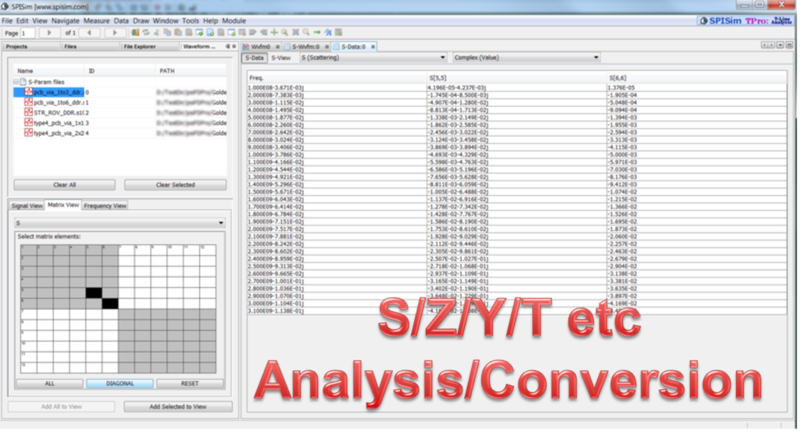 ~30 S-parameter analysis functions to check passivity, DC conductivities, cascade, combine, extract, lumping, re-normalization etc. SPro is an add-on module for VPro. VPro installation/activation is required.